Thinking about a trip to Northern California? If so, the East Bay is worth visiting just as much as it's more glamorous sister city to the west, San Francisco. Sure, we might be biased–Berkeley is our hometown–but don’t take our word for it: the New York Times recently named the East Bay (and not San Francisco) among the world’s top-ranked travel destinations. In this City Guide (our first! ), we share some of our favorite spots that make the East Bay such a special place. Our two-day itinerary–one day each in Berkeley and Oakland–brims with ideas for gorgeous sightseeing, healthy and delicious eating, and luxurious self-care. We also mention some local traditions and festivals that, depending on when you visit, you won’t want to miss. Mission Heirloom—it doesn't get more Berkeley than this message directly from the company, “We aim to destabilize this fairly new reality of invisible agriculture and bring the amazing work of farmers, ranchers, and environmentally conscious fishers to the forefront!” Delicious food and local vibes wake you up with the Berkeley culture you're looking for in the Bay Area. Gather—Calling ahead is a best practice at Gather because this spot is always popping. It's a local love and it's well worth it for the great service and fantastic food. Urban Remedy is another awesome only-in-Berkeley kind of place. It's a totally plant-based, nonGMO, gluten and dairy-free restaurant that you can check it out for a single meal, snack, or a healthy desert but you can also head on over to pick up a meal plan that is specially designed for things like weight loss and immune boosting. It’s no coincidence that we keep steering you to this intersection (Shattuck Ave. at Vine St.) in the heart of Berkeley’s “Gourmet Ghetto,” or that Chez Panisse is located here. Founded by chef Alice Waters in 1971, Chez Panisse’s focus on local, organically-grown ingredients ushered in a new type of American cuisine and sowed the seeds for a healthy food movement that continues to this day. Across the street, Cheese Board Pizza, a worker-owned co-op and early Waters ally, offers organic salads, vegetarian pizza, and live music daily. If you're on the northside of Berkeley, reaching Albany, check out Juanita and Maude. This brand new spot is highlighting well sourced ingredients and showing off some very tasty cuisine and drinks. The menu changes daily and offers an array of seasonal options (pistachio falafel anyone?). Start your East Bay excursion by experiencing some of its most striking natural beauty at the U.C. Botanical Garden at Berkeley. Nestled among the Berkeley Hills, the Botanical Garden boasts 12,000 plant varieties in nine regionally-themed gardens that sprawl across 34 gorgeous acres. While you’re up there, stop by the Lawrence Hall of Science to see its amazing, panoramic view – one of the Bay Area’s best – or to explore its family-friendly science exhibits. As both a symbol and a manifestation of some of California’s best-known traits–its progressivism, beauty, and powerhouse intellect, for starters–U.C. Berkeley may be without peer. Stretch your legs with a walking tour of its campus, making sure to hit Sproul Plaza, ground zero for the 1960s Free Speech Movement, and the Campanile (Sather Tower), whose observation platform provides one of the Bay Area’s most breathtaking views. Across the street, the Berkeley Art Museum and Pacific Film Archive (BAMPFA) is an endless source of cultural and artistic inspiration, hosting exhibitions, film programs, and a variety of performances and lectures. If you’re visiting on a weekday, please come see us! Annmarie Skin Care recently opened our retail space, located right in our office at 821 Bancroft Way. You can test out new products, ask us questions, and pick up your favorites. We’d love to meet you! While you're visiting us, you can check out fourth street shops between Hearst and Virginia (just on the other side of University) where you can find everything from clothing to gifts to furniture stores. It's a cute place to grab a coffee and walk around on a sunny day. Spa Organica on Solano Ave is dedicated to beauty. What's better than knowing that the company you're getting a facial from is using all natural products? Maybe following up with a color consultation for your daily makeup routine. If you're looking for great local music, check out Freight & Salvage. This is a wonderful spot for daily bluegrass and classical music—the acoustics are perfect for when you just want to sit back and let the sounds of a string instrument wash over you—plus every other Tuesday they have a free open mic night. The Greek Theatre is a Berkeley Classic. It's a beautiful outdoor venue for popular and local musicians alike. It's nestled in Berkeley, very close to campus so shows have an incredible mix of every age of music lover. Pro tip: make a reservation at Grand Lake Kitchen and bring at least one friend (but not more than a double date). It's an incredibly hip spot, especially for brunch, that you don't want to miss. The food is great and you'll be right on the Grand Ave Strip where you can visit little shops or check out the lake. Oliveto in Rockridge is a gem. Penrose in Oakland (by the lake) is incredible – featuring an open kitchen, fresh ingredients, and a bright and sunny atmosphere. You must check out this place while you’re here. Duende in Uptown Oakland is a lively tapas style restaurant. Showcasing authentic regional Spanish cuisine, with equal parts traditional and contemporary influences. Their paella will leave its impression on you and each dish is comprised of local, sustainable ingredients from farmers and ranchers with whom they’ve maintained long and rich relationships. Hiking in the hills—Skyline blvd in the Oakland hills has a whole slew of amazing hiking trails. 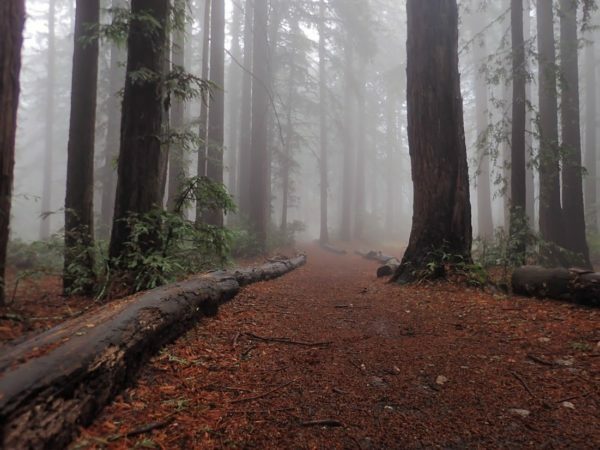 Two well-walked trails by members of the ASC team are the Big Trees Trail in Joaquin Miller park (header photo) and the Round Top Loop Trail in Sibley Volcanic Regional Preserve. Check out Redwood Regional Park and Huckleberry while you're up there too. It's absolutely beautiful. Chabot Space & Science Center—this is on Skyline too, so you can really spend all day up in the hills if you want to. Oakland Museum of California is nestled in Oakland proper and always has really interesting local and global art to check out. Every Friday they're open until 9—with adults being 1/2 price and kids being free after 5pm. Do not miss Lake Merritt. If you're in the mood for a nice city walk, it's about three miles around. There's always lively local fun going on somewhere around the lake—on Saturday afternoons you'll find people playing drums, doing acro yoga, and laughing by the pavilion, and on weeknight evenings you'll often happen upon music and fun. To be honest, Oakland is hopping at night. You can almost always find the vibes you want, whether you're looking for a karaoke bar like Nick's, a wine bar like The Punchdown in Uptown, something a little fancier like PlumBar right downtown, or a dark, loud hole in the wall with great drinks like Ruby Room by Lake Merritt—this city does not disappoint. If you want to hop around, you might need a bike but it's worth it. For live music, check the banner at the Fox Theater downtown or see what Starline Social Club has going on. And if you're feeling more of a laid back evening for drinks, pizza, and a movie check out the New Parkway Theater. It's beautiful to walk through and it's open all hours (best to go in the daytime or on a romantic stroll just before sunset)—you can walk down a staircase lined with different kinds of roses. Take time to smell them—find your favorite kind and try to remember it. Hey Locals—you know we can't cover everything! What did we miss? Leave us a comment below!